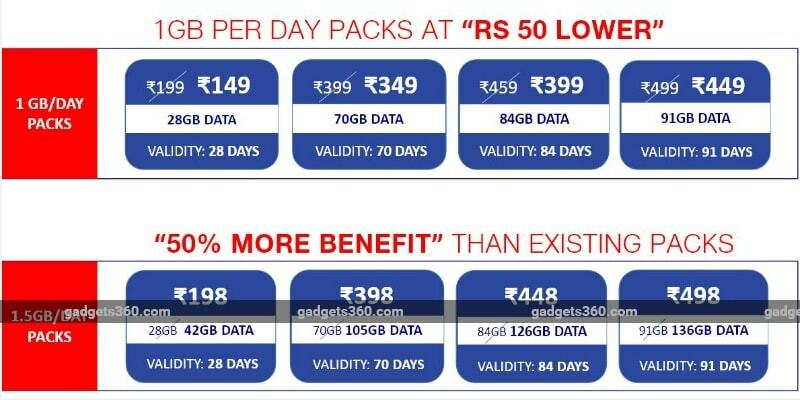 Jio Plans With 1GB Daily Data to Get Price Cuts. As Happy New Year Offer. Reliance Jio will cut the prices of its plans Jio plans with 1GB data per day to Rs. 149, down from the current Rs. 199. Interestingly, this move will nullify the tariff revision implemented by the operator in October. Apart from this price cut, Jio will also launch a host of plans with 1.5GB data per day as part of the exercise. These changes will come into effect on Tuesday, January 9 and the first of many such announcements to come. Starting Tuesday, the Rs. 199, Rs. 399, Rs. 459 and Rs. 499 Jio plans will cost Rs. 149, Rs. 349, Rs. 399 and Rs. 449, respectively. Details of the plans, such as the data allocation, calling, and SMS benefits as well as access to free apps, will remain the same as before. The new 1.5GB data per day plans the operator is bringing in are priced at Rs. 198, Rs. 398, Rs. 448, and Rs. 498. These are the price points of the 1GB data per day plan, meaning consumers are essentially getting 50 percent more data at roughly the same price. It is not yet clear when the price cuts will end, but more clarity can be expected on Tuesday. The move will come into effect just days before the ongoing Jio promotion with cashback and vouchers of up to Rs. 3,300 ends. The operator has 160 million users across the country, and has been dictating market terms since its launch. 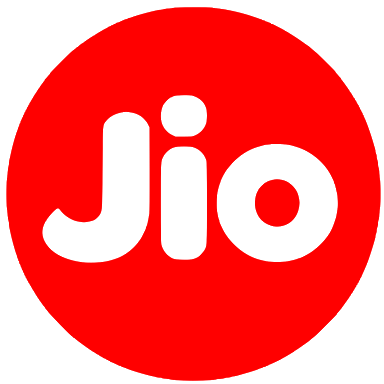 In the past few weeks, operators have started offering more data without raising prices on certain popular recharge packs, so this move can be seen as a means to keep Jio users from moving to other networks.